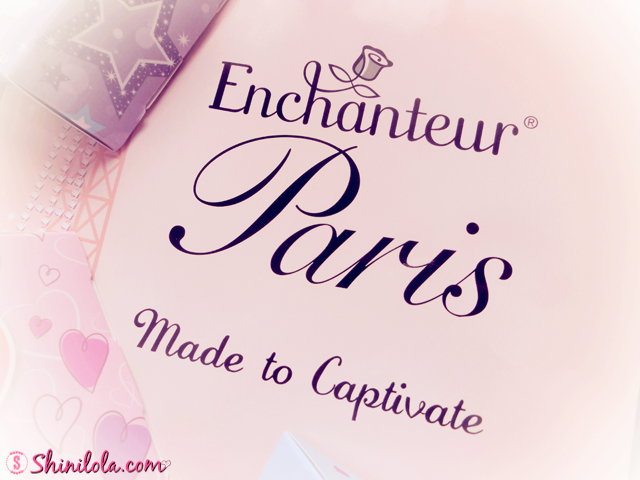 I'm pretty sure most of you heard about Enchanteur right? 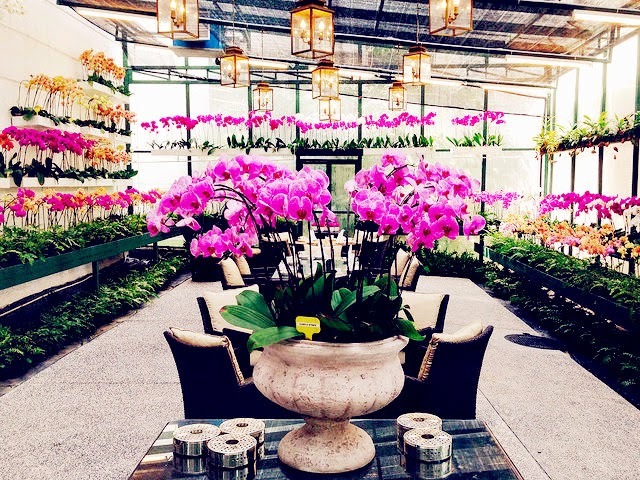 It was one of the leading mass market fragrance brands evolves with time in developing enticing new fragrances but also enhances its reach and engagement with the consumers. 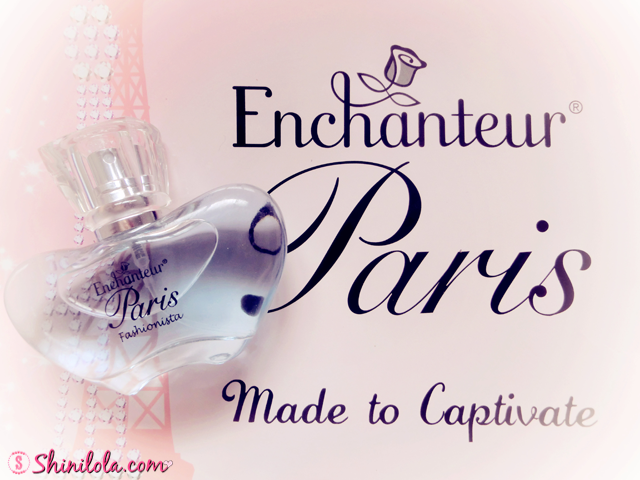 Famed for its French inspired fine fragrances that ignite the flames of romance, Enchanteur is launching an advertising campaign which will tease the senses as part of its new fragrance introduction. The new form of advertising is targeted at evoking the senses by way of "Sight", "Sound" and "Smell". 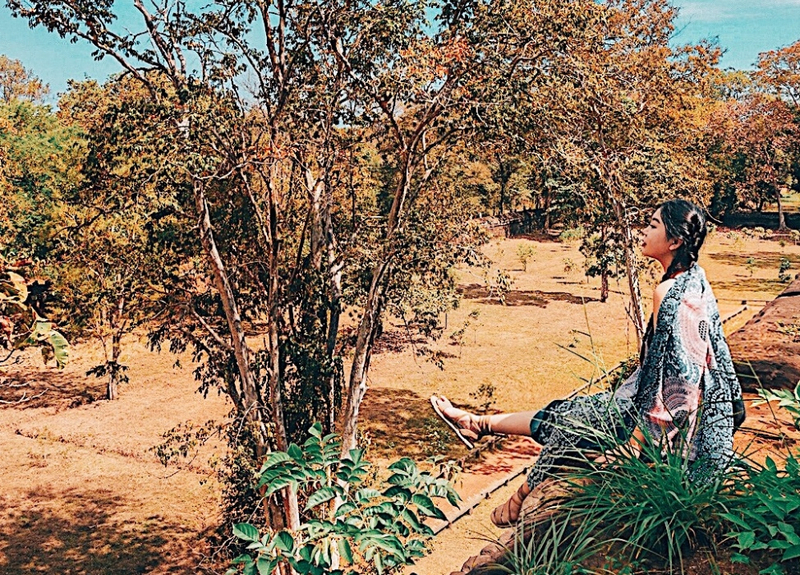 For the first time ever Malaysians will get to experience a multi-censorial commercial that not only stimulates auditory and visually but also the olfactory. It always gave me a dreamy feeling since years ago. I still remember the commercial when I was a kid. It was so memorable and silly me always told my mum I want to buy the product because I want to be that girl in the commercial. 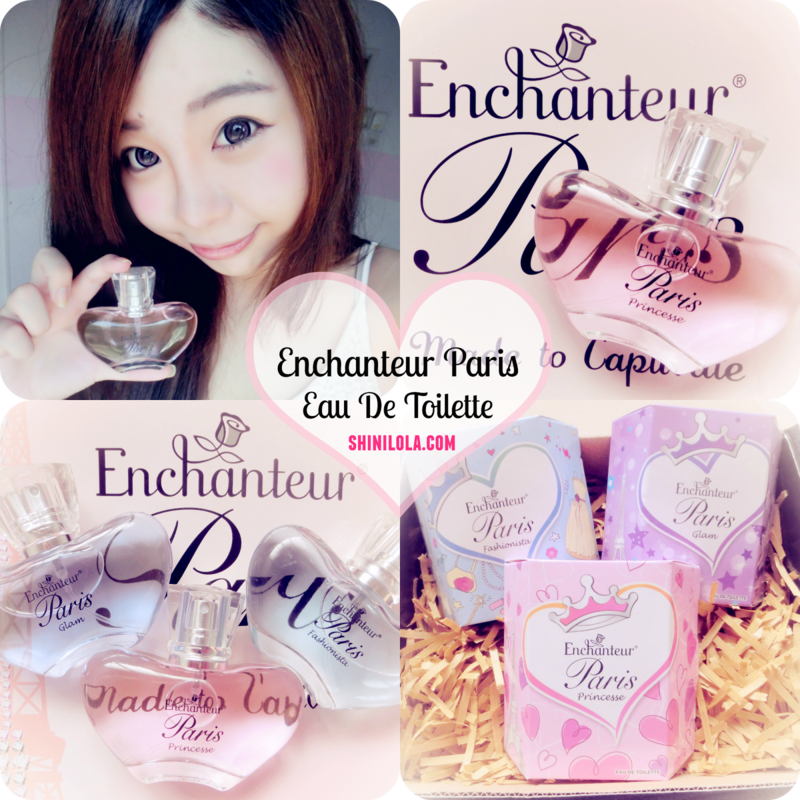 LOL~ Enchanteur range of products also consists of shower, talc and deodorant etc. 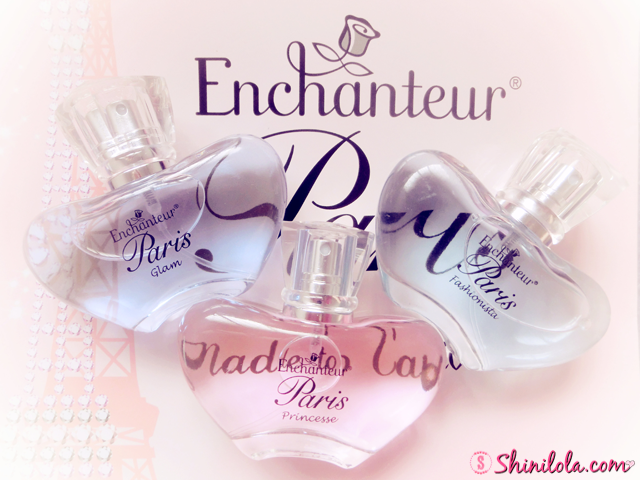 For your information, Enchanteur has 3 product lines as Enchanteur, Enchanteur Paris and Enchanteur Love. Well guess what? 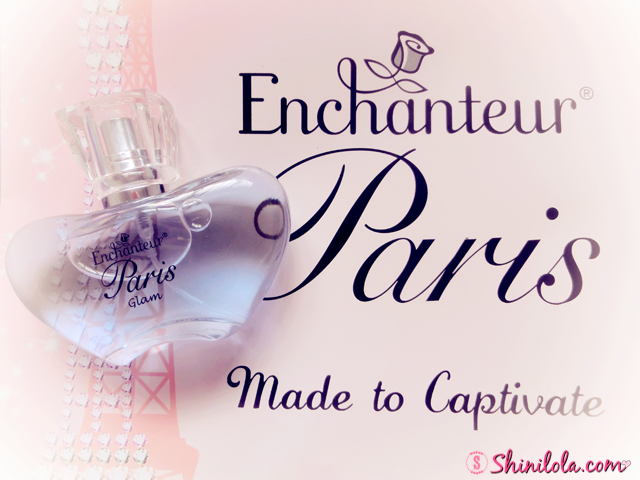 I received the newly launched Enchanteur Paris Eau De Toilette from them! Ta-da!! Here are there! 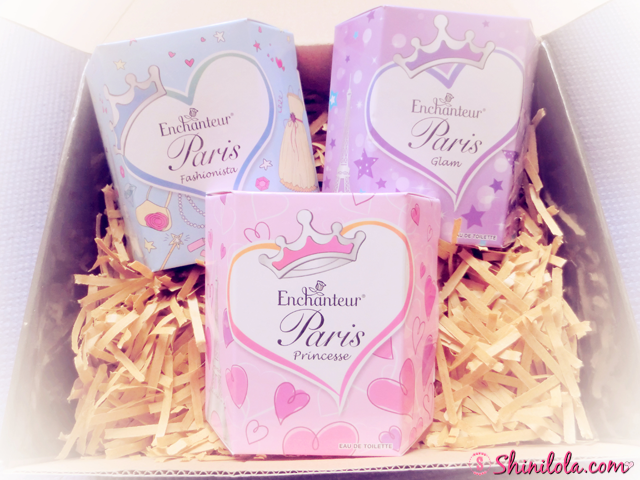 I'm falling in love with packaging because they're so dreamy! Let's start with my favourite colour Pink shall we? 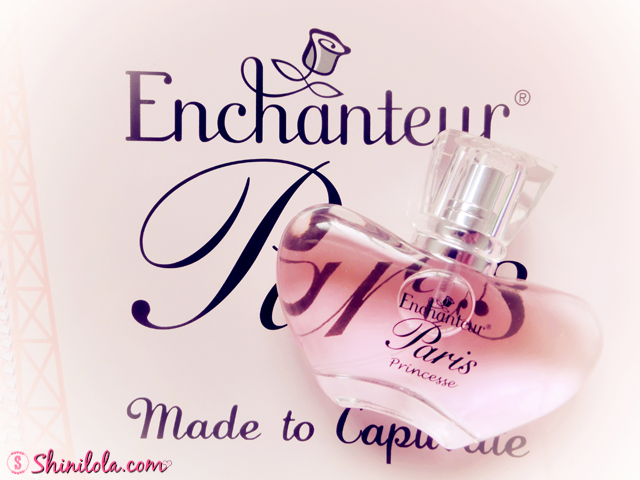 DescriptionsLet your sweet and charming personality shine with this lovely scent of Apple, Freesia and Vanilla. 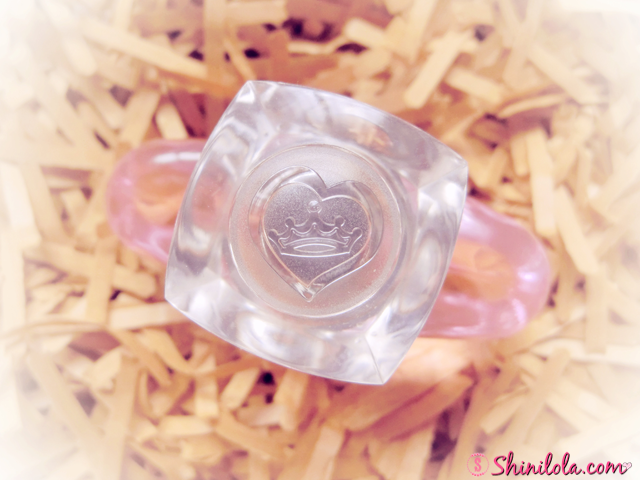 PRINCESSE turns your life into the fairy-tale every girl desires and makes you the girl every boy has a crush on. Next would be the Violet colour. DescriptionsEmbrace your confidence and let loose the glamour in you with this heartwarming scent of Mango, White Roses and Muguet. GLAM allows you to turn heads and steal his heart, making you his one and only. Last but not least, the blue version. 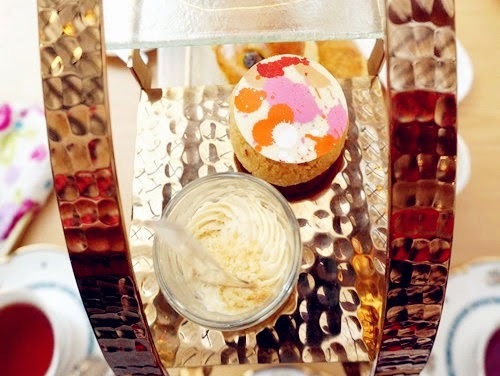 DescriptionsBring out your chic and stylish side with this dazzling mix and match of Orange,Jasmine and Roses. FASHIONISTA makes you the life of the party and the apple of his eye. It is available at all major retail outlets, supermarkets, hypermarkets and pharmacies. 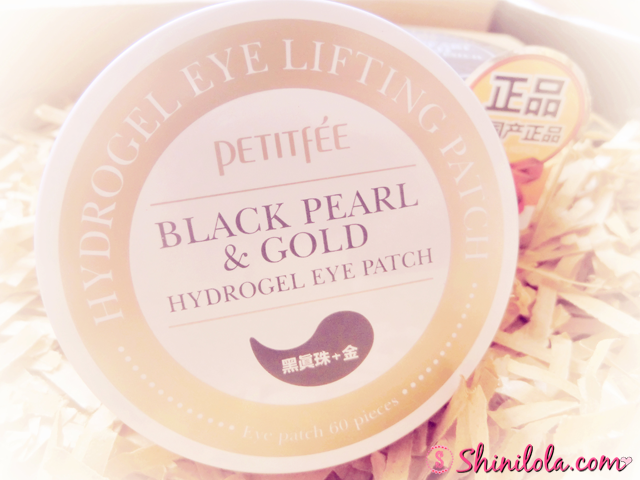 Bonjour After introduce you guys the eye patch on previous post, now is the time to pamper your face. =) I feel excited because this would be my very first time to try on a brand that I never try before and I never try on the 'oxygen mask' before as well. Wondering what is oxygen mask? Continue reading to find out more. By the way, have you guys heard of Beaubelle? 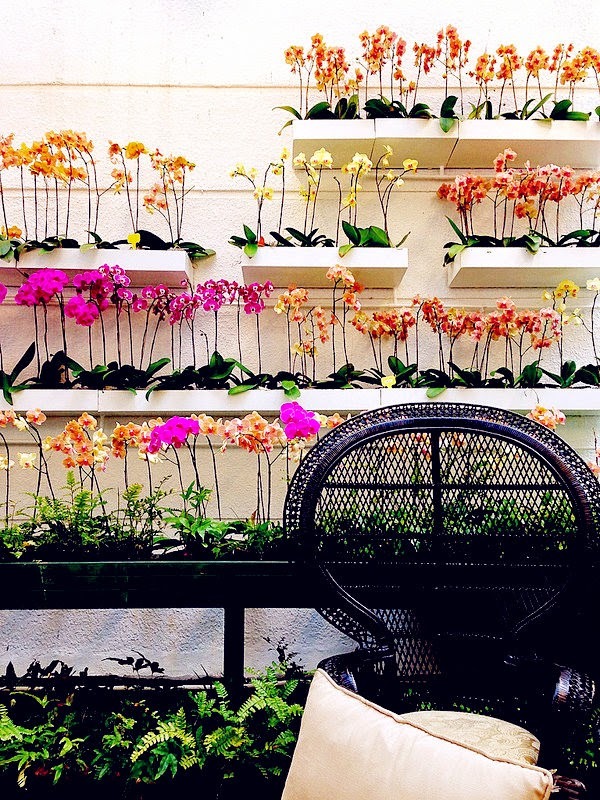 For your information, it was the brand that pioneered the holistic rejuvenation concept of body, mind and soul harmony is now the number one international wellness beauty and spa brand. 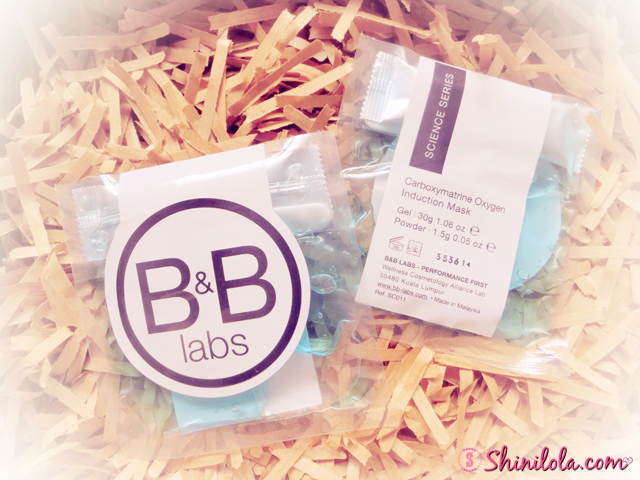 The Beaubelle Group is set to redefine the landscape of the skin care industry again by debuting B&B Labs in 2014. 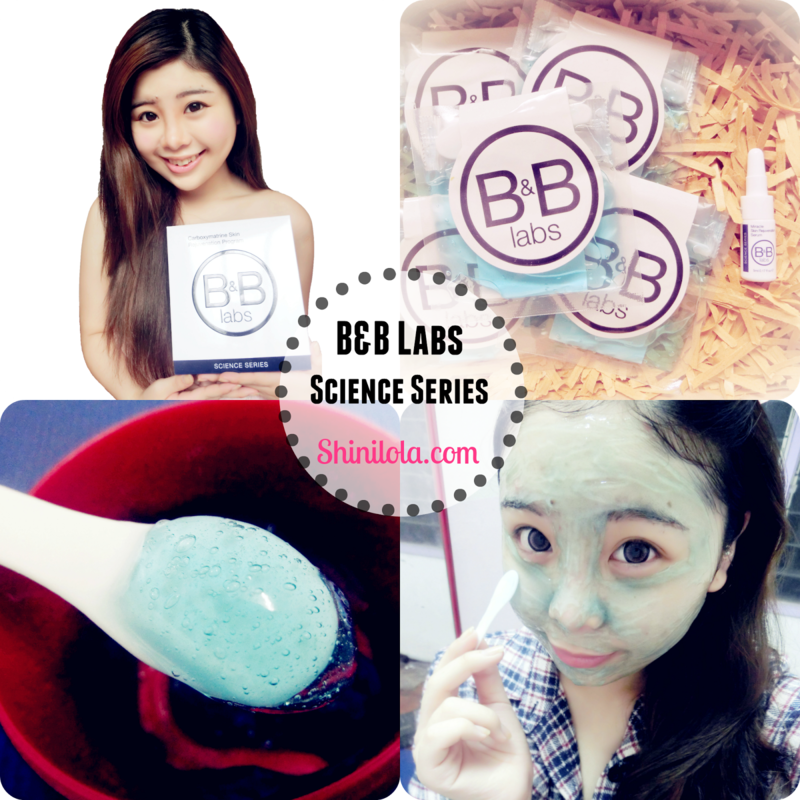 B&B Labs offers the best results-driven skin care presented through innovative textures and concepts. The products are researched and developed by leading Asian cosmetic scientists, cosmetologists and doctors of Wellness Cosmetology Alliance Lab based in Malaysia, in consultative collaboration with their British and Australian counterparts. Next question, how about the Science Series? 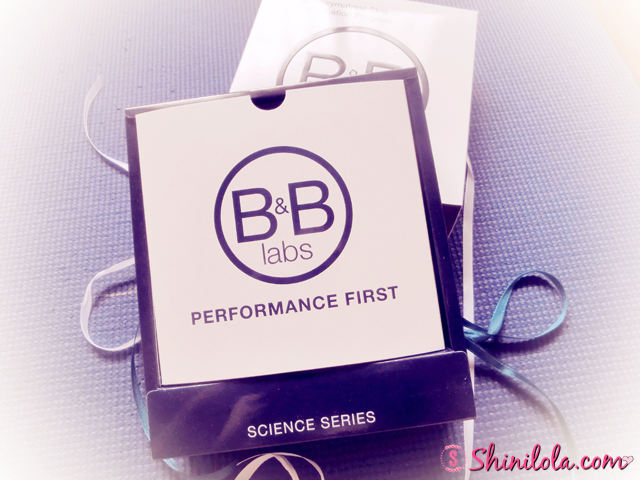 Science Series of B&B Labs utilizes highly effective pharmaceutical grade active ingredients within advanced cosmeceutical formulas. It is not possible to change the genes that we’ve inherited from our parents, but it is possible to switch off the genes that exacerbate aging by living a positive lifestyle. On the skin, Science Series works at the cellular level to not only invalidate genes that induce aging but stimulate genes that help to delay the aging process. Aging is inevitable, but the rate of aging can be managed with Science Series which is developed to help circumvent negative alterations in the cells that hasten the aging symptoms on the skin. Yes. 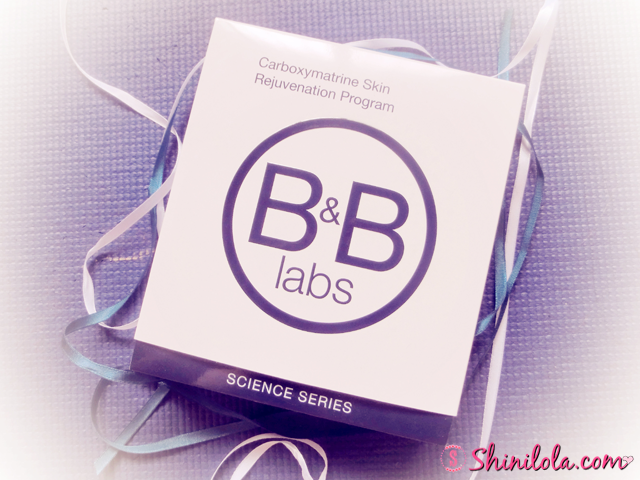 They sent me one of their Science Series - Carboxymatrine Skin Rejuvenation Program. Inside consist of 5 pieces of Carboxymatrine Oxygen Induction Mask and Miracle Skin Rejuvenation Serum. 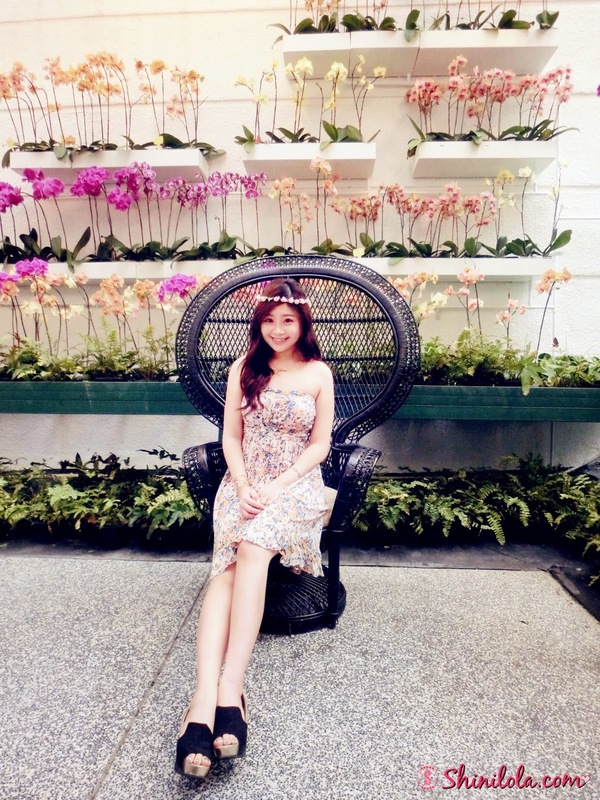 What is Carboxymatrine Skin Rejuvenation Program? Cutting-edge skin rejuvenation program inspired by the Bohr Effect – hemoglobin’s oxygen binding affinity is inversely related to acidity and to the concentration of carbon dioxide. Carboxymatrine Oxygen Induction Mask rich in niacinamide, acetyl glucosamine and betaine introduces carbon dioxide to the skin to increase oxygen absorption to the lower dermal layer on a timed-release basis. Combined with the powerful Miracle Skin Rejuvenation Serum loaded with neuropeptide, phytopeptides, stem cells and rose placenta, this program will effectively oxygenate, firm and lift the skin for an instantly younger skin complexion.Focused on rejuvenating devitalized skin with wrinkles and scars by improving micro-circulation for highly effective wound healing, enhancing collagen production and maximizes anti-oxidation and anti-inflammation benefits. So let's give it a try shall we? Remember to prepare a empty small bowl for the mixing. 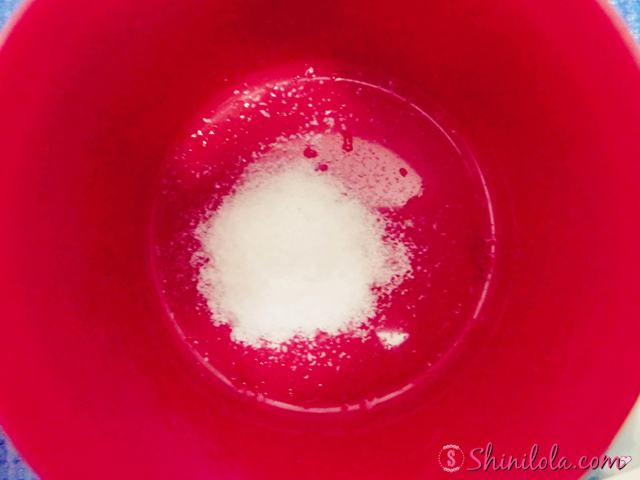 Firstly, pour the powder in the small bowl. Then, mixing them with the small spatula provided. I'm so EXCITED when I saw this! It's really contains of oxygen! Apply it on your face immediately! The texture will be like normal gel type. The colour more into like greenish / blueish. 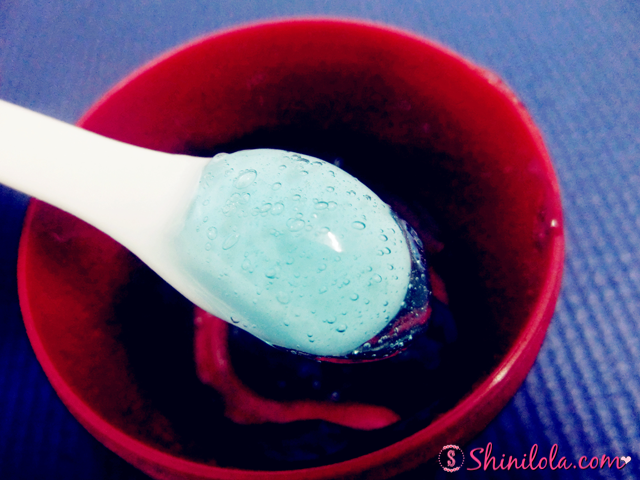 It will gave you cold effect as well since it was gel. After rinse off, don't forget to apply the serum too. You’ll see skin transformed instantly after the first application! 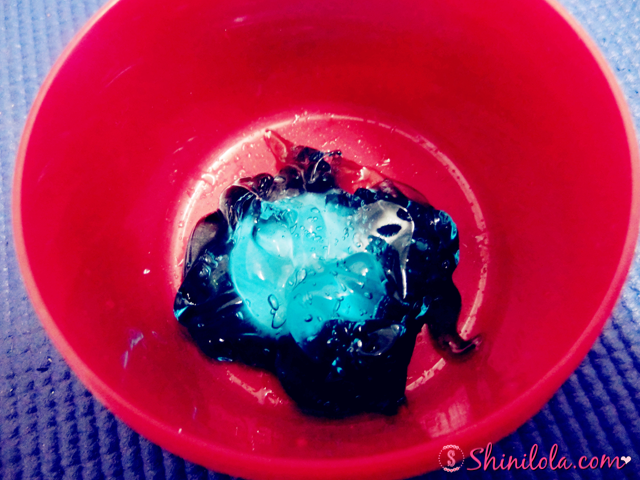 Directions : Mix the gel and the powder of the Carboxymatrine Oxygen Induction Mask quickly in a small bowl. 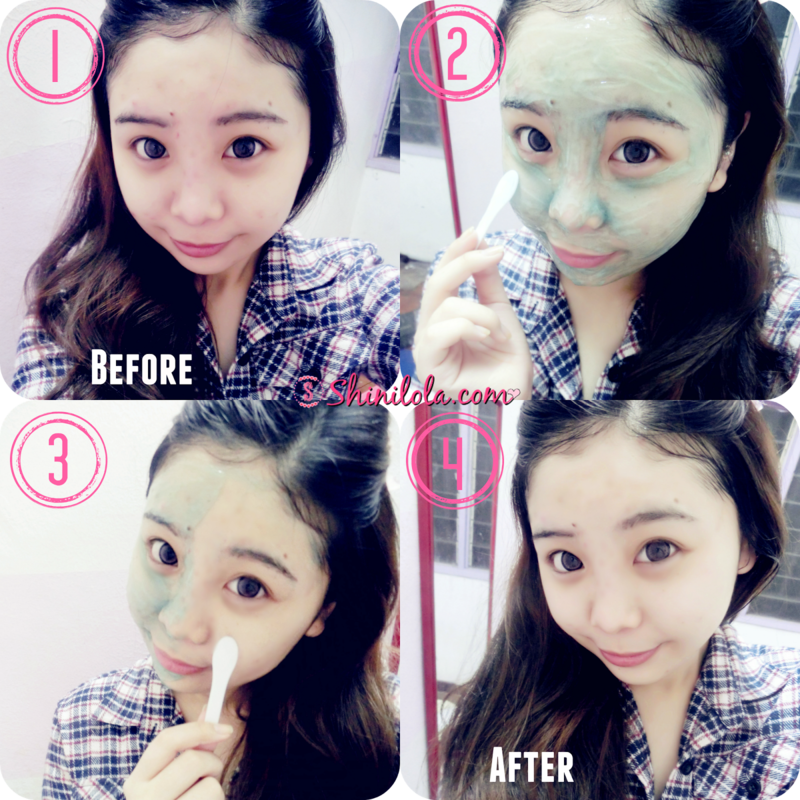 Apply the mask mixture immediately onto the face to ensure optimum absorption and to get the benefits of the oxygen produced by the mask. Leave it on the face for 15 to 20 minutes, then wash off and dry the skin thoroughly. 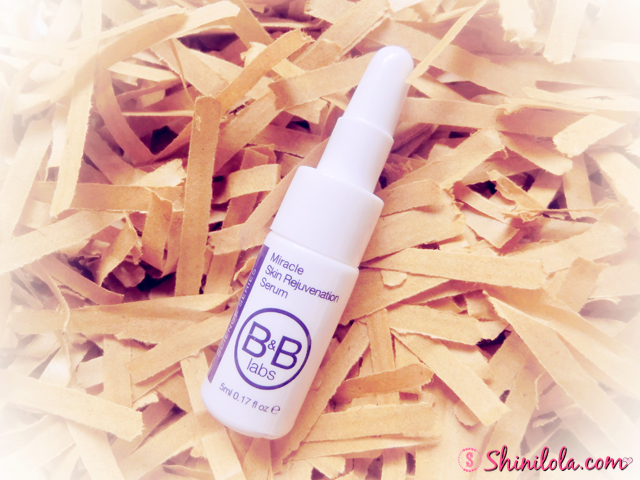 Immediately apply 1 ml of Miracle Skin Rejuvenation Serum onto the skin. 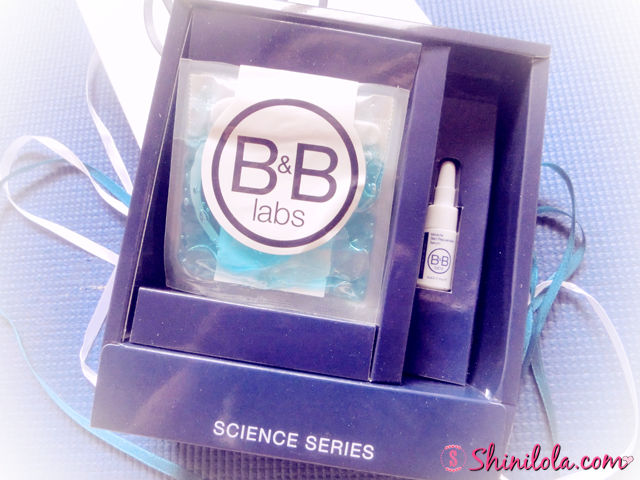 Can be purchase at authorized B&B Labs dealers or authorized Beaubelle dealers. Some sweeties might be saying my eyes are huge or round and they think it might be a good thing. 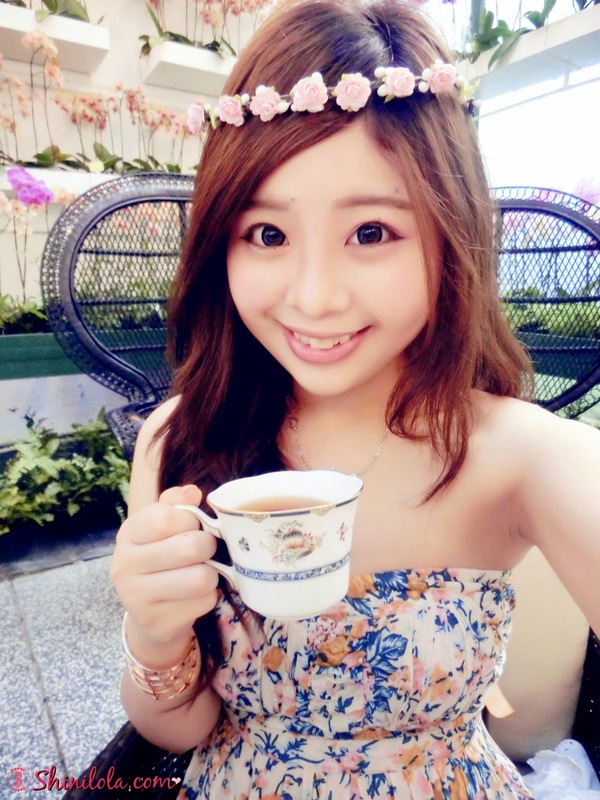 However, I like to drink a lot of water all the time even during night time. 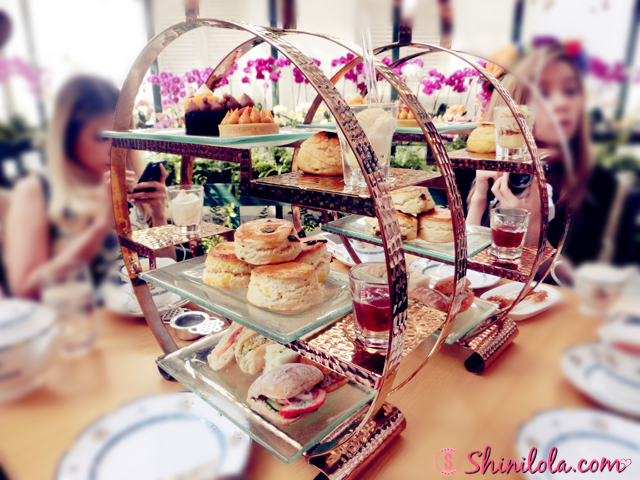 This caused I have a pair of huge eye bag and puffy eyes on the next day. 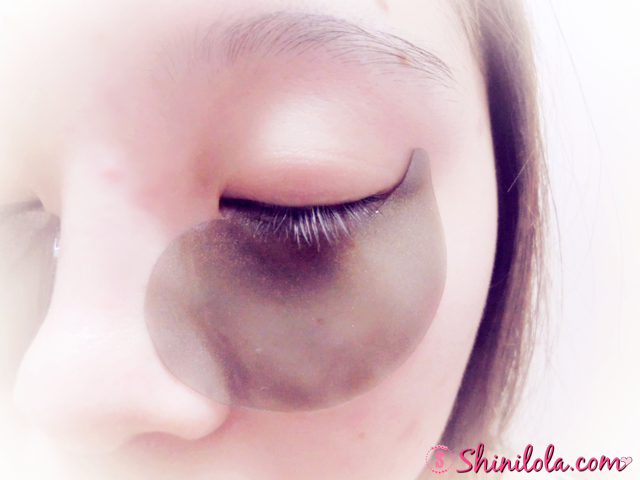 For someone who owning a thick double eyelid and round eyes, it makes the eye bag even obvious. =( Same as previous post, this is *not a sponsored post* so I'm sharing it with the bottom of my heart. As you guys knew, Petitfee was a Korean brand. You might wonder why "black pearl"? Pearl having high level of Amino acid and minerals helps circumstation. 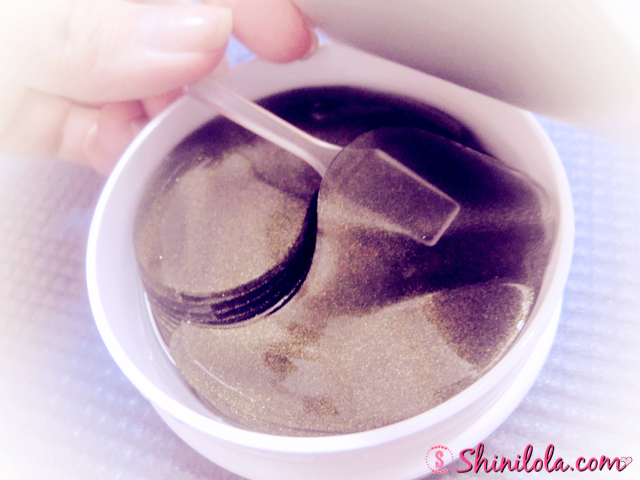 In addition, gold ingredients purifies skin and helps keep the bright tone. Highly dense essence of nutrients. Green tea, wormwood, citron, cucumber, grapefruit seed and other various of plants is condensed in this essence provide moisture and nutrition deep into the skin which helps improve the skin around the eyes area. 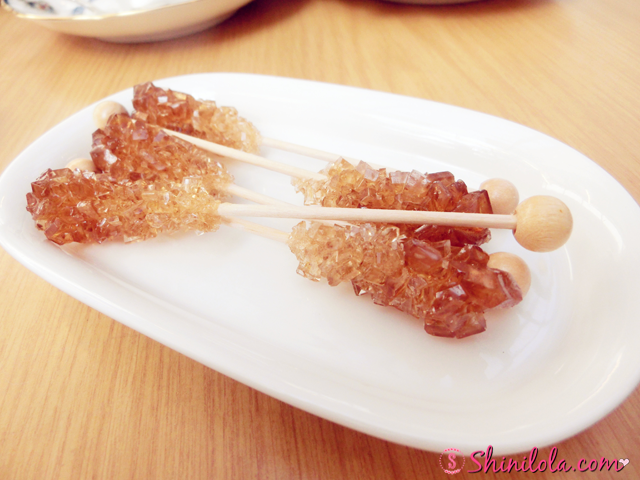 Mist type out of natural gel ingredients can be used for body care after melt it with warm water. Let's give it a try shall we? It also comes with a small spatula for picking up the eye patch. As you can see you can use the spatula to take the eye mask out and remember be gentle, because it was made in jelly so it might easily to tear apart. All shiny gold black eye patch. 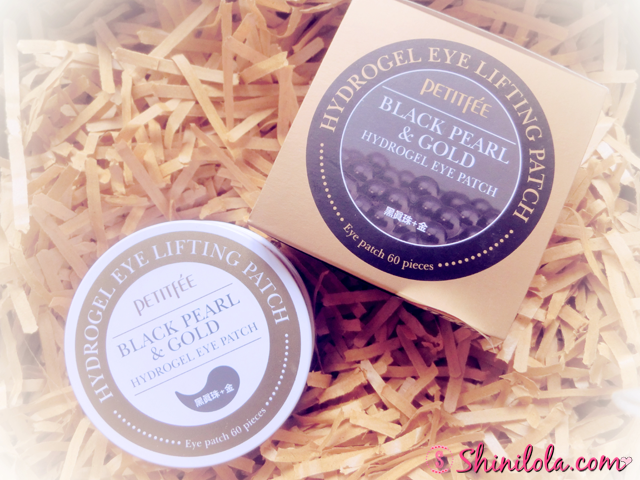 This time the size of eye patch are slightly bigger than the gold EGF eye patch. After 30 minutes, you will notice the gel patches will become thinner layer because the essence already been absorbed into your skin. Instructions : After wash your face and apply basic skin care products, picking up the patch with spatula and place it on your under eye area. After 30 minutes take it off and soft massage with your finger. The before and after. Not sure whether it looks obvious or not in the picture. In reality, you can spot the difference with ease. Normally I apply this at night before my bed time and it does helps to reduce my wrinkles and minimize eye bag even on the next day! However, some useful tips for you guys. Have you ever experience yours eye area are too dry and the concealer might stuck at there? Yup, sometime I apply this 20 / 30 minutes right before I started to apply my make-up. 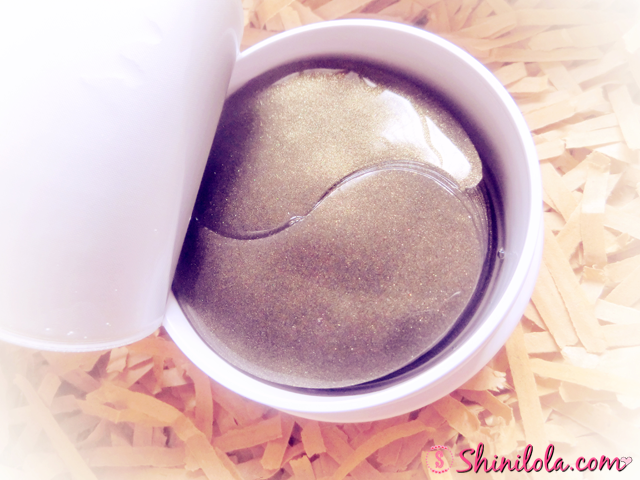 It will helps to moisture my eyes and the concealer won't stuck at eye bag anymore. =) Maybe you guys can give it a try too. 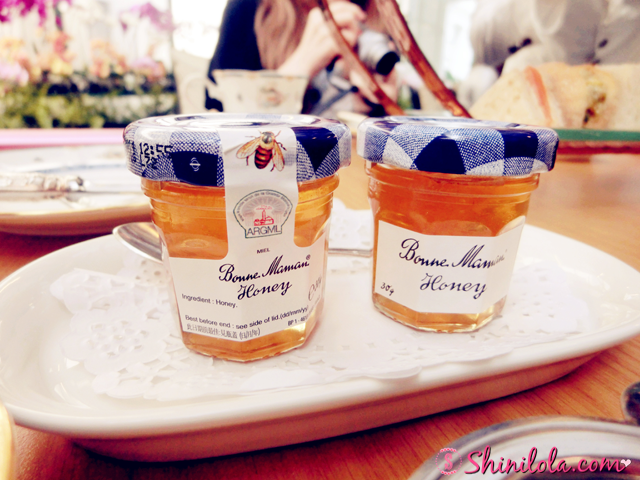 Please noted that this item are selling fast and they always been SOLD OUT. So you may need to purchase it fast or you can just wait for them to restock. Last time I also waiting them to restock before I got the chance to purchase it. 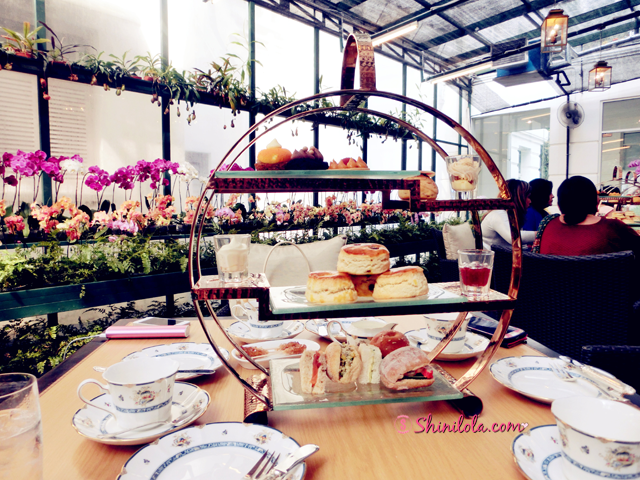 We decided to pay a visit @ The Majestic Hotel because I always wanted to try their afternoon tea as I saw many beautiful photos posted by the customers on Instagram and Facebook. 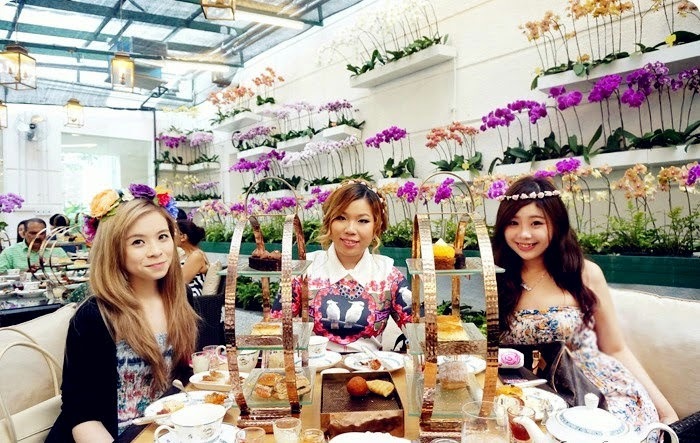 We need to make reservation a month ahead for the table in Orchid Conservatory and each person need to pay RM50 as deposit. 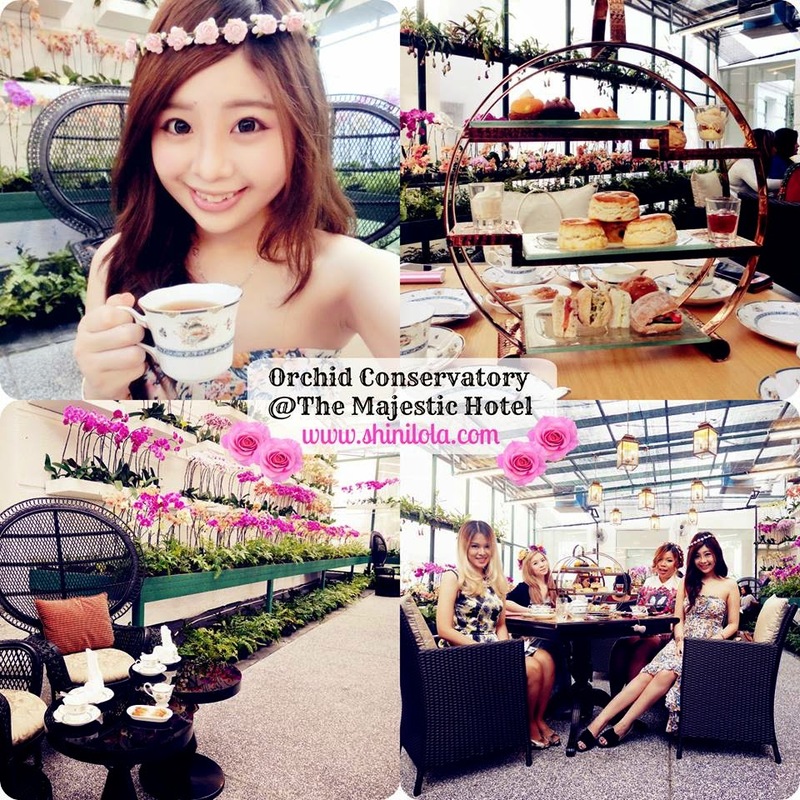 It cost about RM88+ per pax to be in Orchid Conservatory Room while RM68+ for Drawing Room. 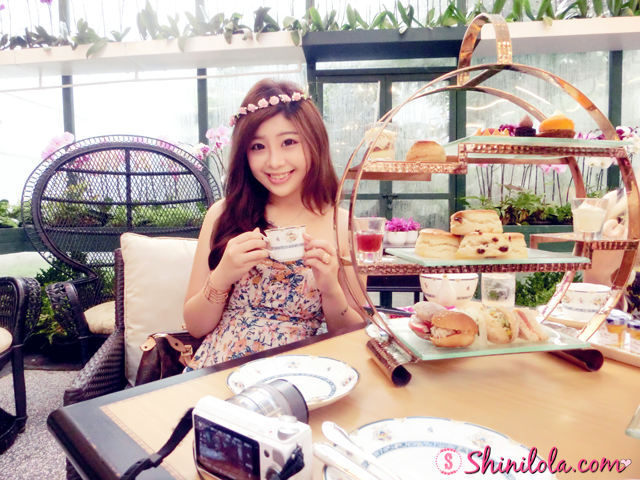 #SHINIOOTD - Theme of that day was floral which is suggested by Cindy. 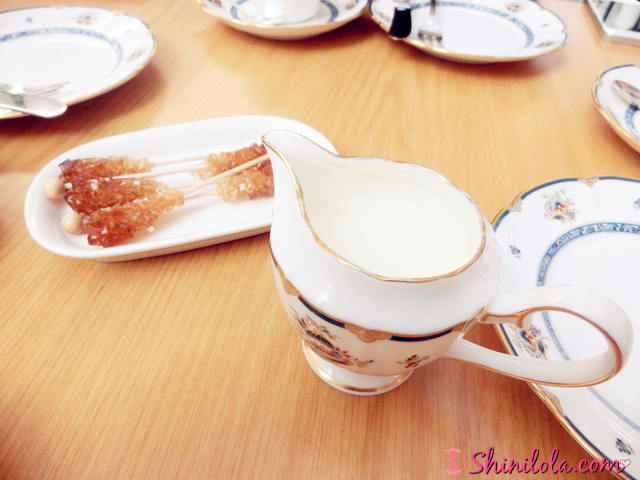 They prepare some sugar stick for you in case you wish to add some sweetness in your tea / coffee. 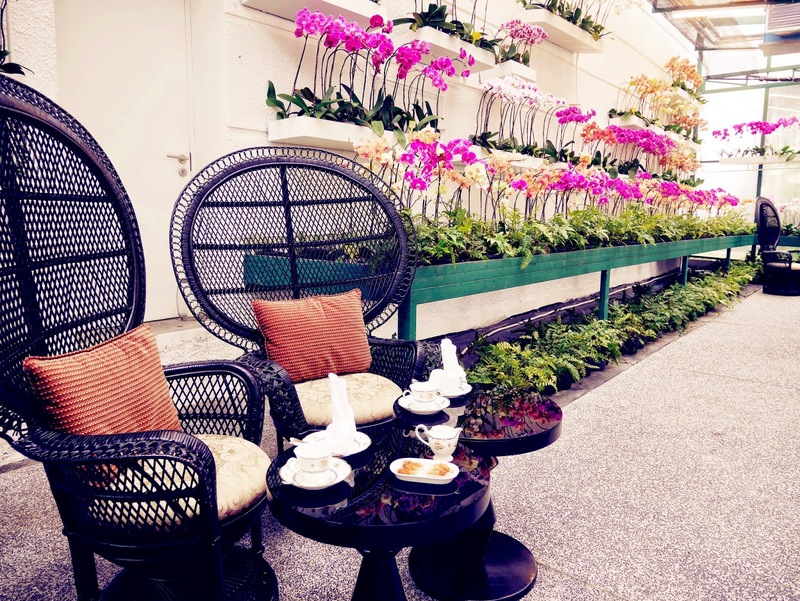 One thing that I'm not preferable is that they only have Boh Tea(Cameron) for afternoon tea. 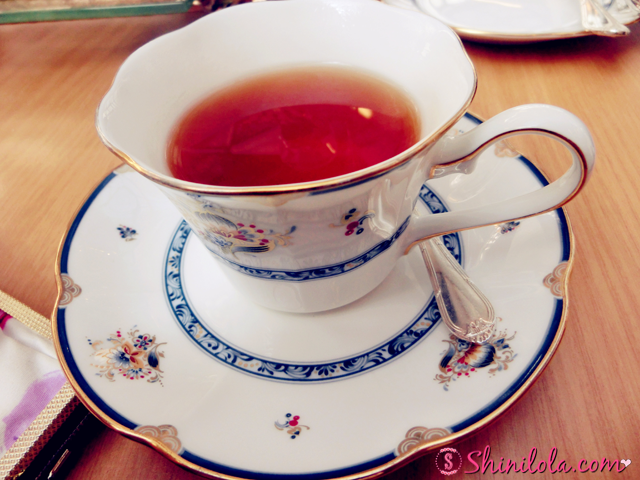 If you wish to order other types of tea such as Early Grey, English Breakfast Tea etc, you need to add up about RM28+ just for the tea. Ta-da!! 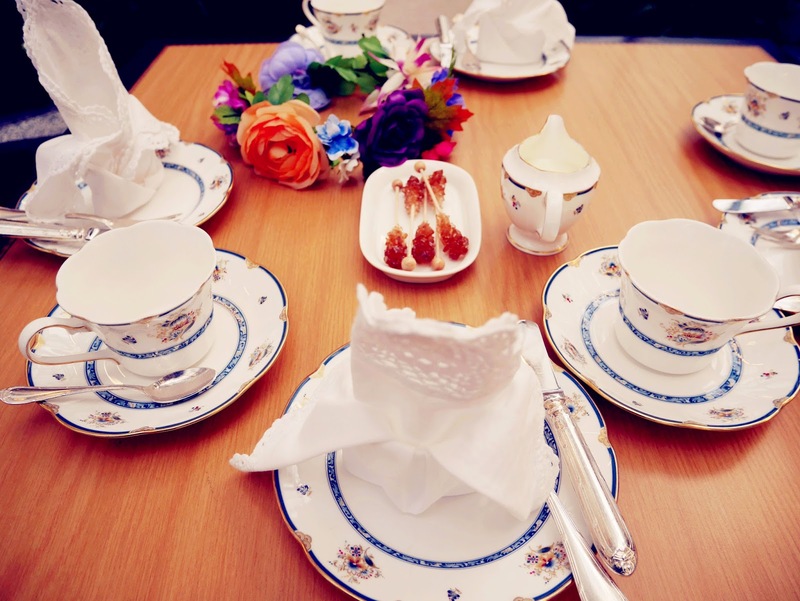 Finally our tea set was here! Since we are 4 person, so we order 2 racks. The bottom part was sandwiches. 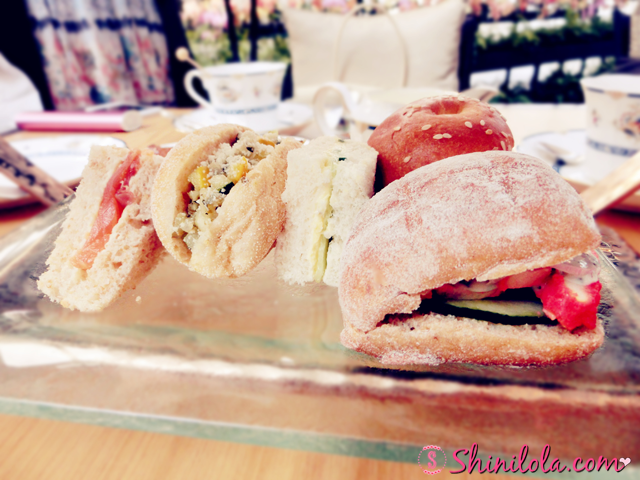 Of course, the Salmon was my favourite among others. 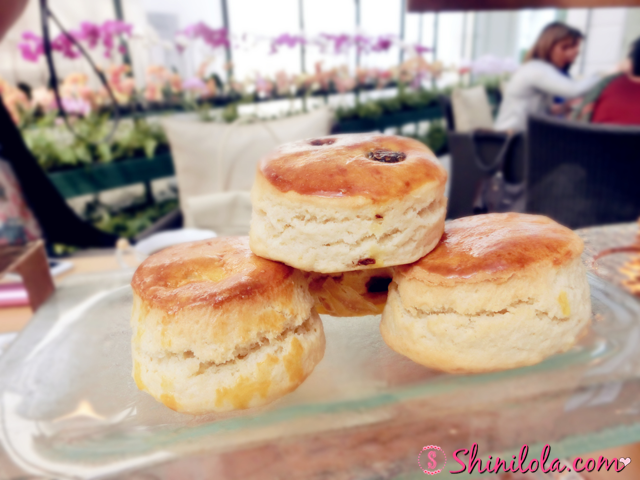 A must-eat food for tea set - Scones. 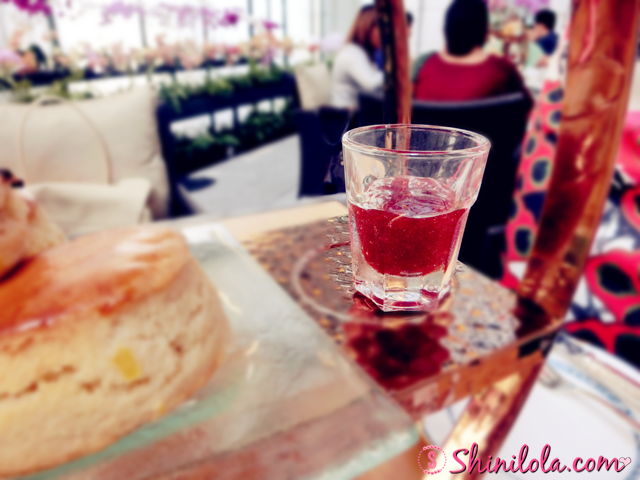 Sweet and sour strawberry jam for the scones. 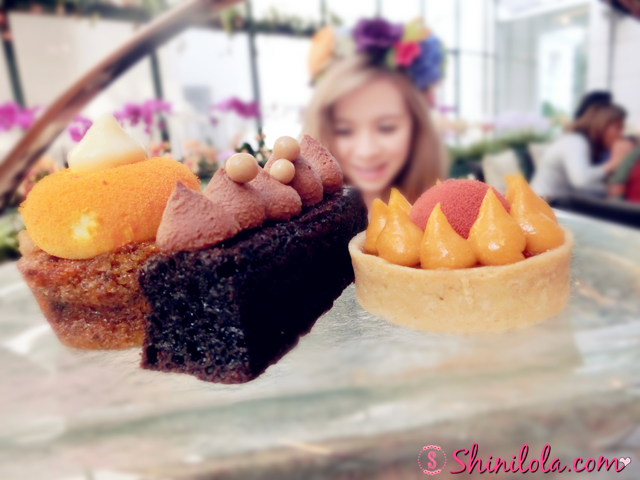 The top part was cake session. 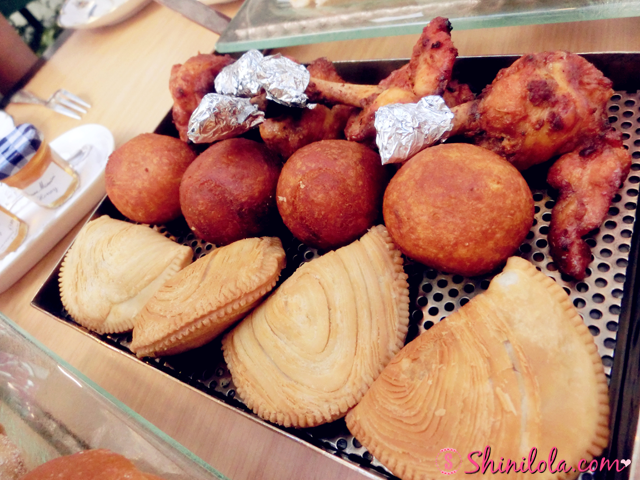 They also provides us the local range of foods. I'm not a fans of it though. 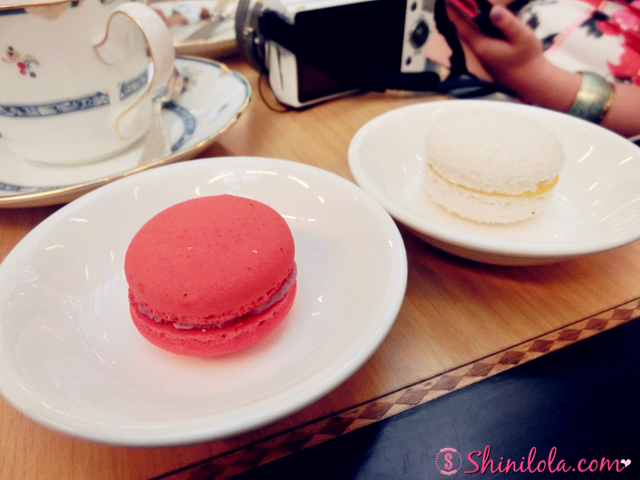 Dessert - Raspberry and Coconut Macaroon. 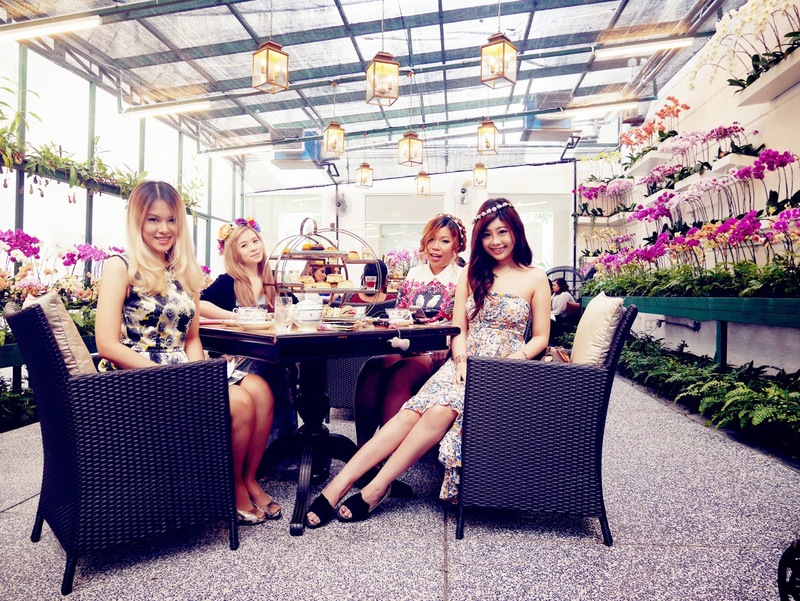 Groupie photo with the girls.